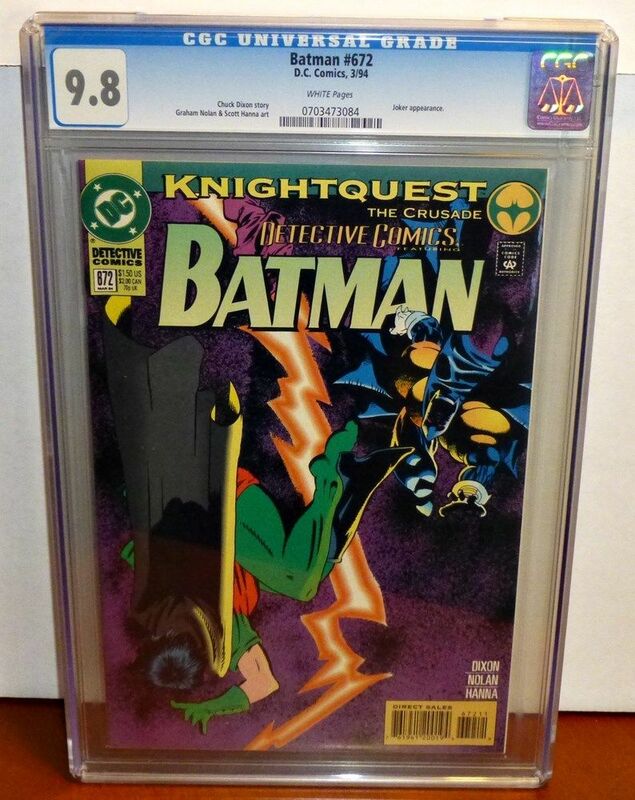 I have some Modern CGC 9.8 Batman slabs for sale on this thread. I will only ship to mainland U.S. and I accept Pay Pal (USD). All books will be well packed. Shipping is $15.00 USPS Priority Mail and I do combine shipping for $2 per additional book. Items may be returned for a refund should you not like the book. Buyer will pay for return shipping and item must be exactly the same, i.e. no damage that occurred once in your possession. Knightquest, Joker appearance. 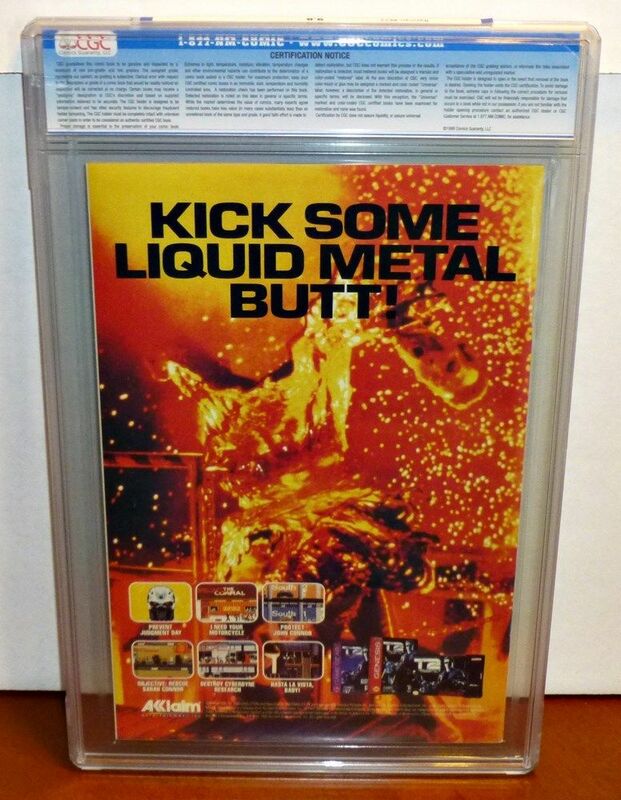 Slab is from 2006 with a label error, has only a few minor scratches when viewed from an angle. 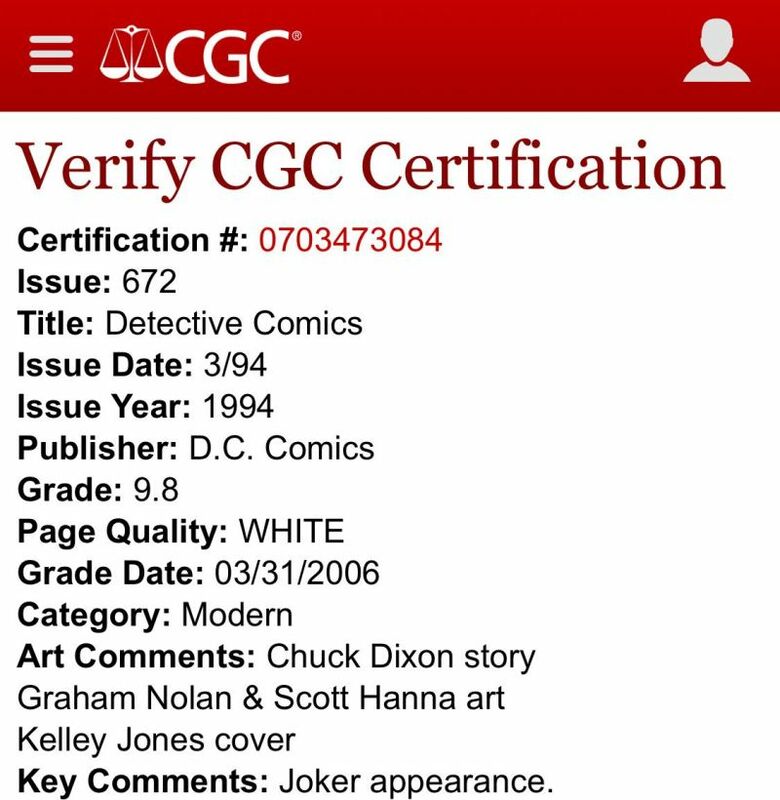 The label reads Batman #672 but the certification number shows Detective Comics. Slab is brand new and free of Newton Rings. Updated, feel free to make an offer.